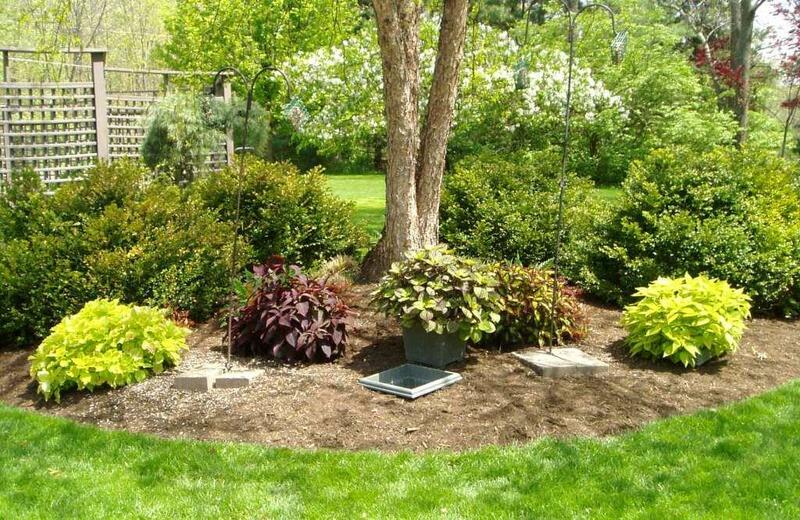 Planting seasonal annual color plants under trees where there are lots of tree roots can be a problem. In our Ohio landscape (before we moved to Georgia) we had a big River Birch that had extensive tree roots. Every time we dug holes to plant annuals in spring we had to cut many tree roots only to have the tree roots grow back to compete with the annuals all summer long. Our solution: We created permanent “pocket planters” to easily swap-out plants for spring, summer and fall color. For example, in late spring we would buy coleus hanging baskets, pot them in our “insert containers” using Miracle Gro Moisture Control Potting Mix and Osmocote Plant Food. The plants looked great all summer and with the mulch around them you could not tell they were not actually planted in the ground. It was then very easy to swap these plants for mums for fall color. Fall is a great time to hit the garden center to get the containers you will need to create your very own pocket planters under your trees. You can fill your containers with Mums to provide fall color. Or you can get this project started now so you will be ready to plant your containers next spring. Are these empty pocket containers stocked as a regular item at lowe’s or local nurseries? These are not sold as “pocket containers” We bought regular containers at Home Depot this time of year. 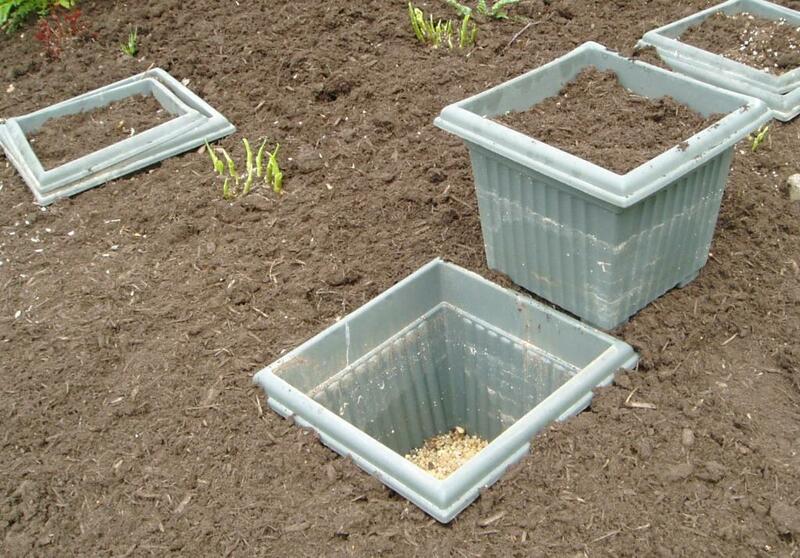 We picked matching 15 inch and 13 inch plastic containers that fit nicely together.